I'll never understand the breakfast skipper. Never. Although I consider ALL meals to be important (think I've only missed a meal a handful of times in my life and only in dire straits!) breakfast really is essential to fire up the brain and a healthy option is even better. There is a time and a place for the cooked breakfast but mid-week, I like to get to work on some decent fuel. Here are five quick options to starve off both toast boredom and mid-morning stomach grumbles. 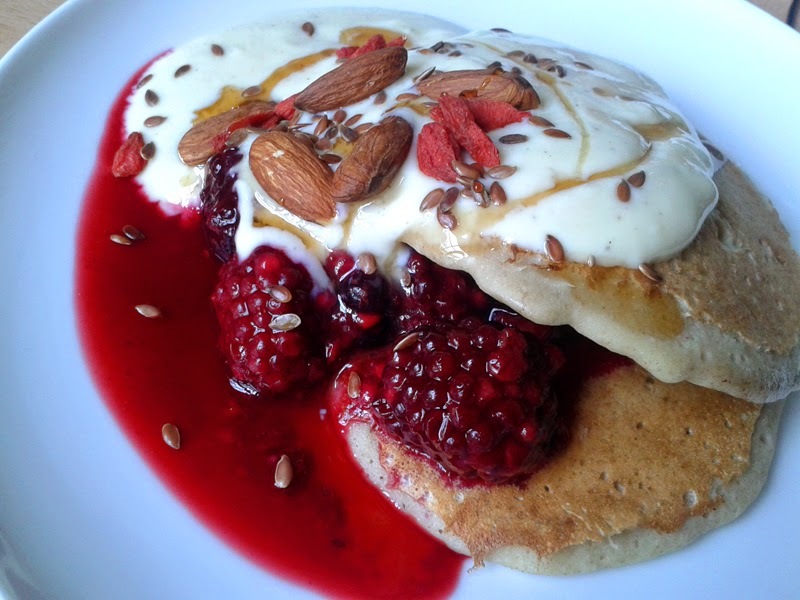 Buckwheat pancakes, berry compote, Alpro Vanilla, almonds, flax seeds, goji berries and maple syrup. Stewed apples and plums with vanilla and cinnamon, Alpro Plain, chia seeds, cashew nuts, cranberries and chocolate flakes. Perfectly autumnal, I served this up for breakfast but then it was re-requested again for dinner. For some reason my toddler can't get enough of stewed fruit (veg not so much!) so this is the sort of thing we would have as "pudding". Frozen berries, Alpro Plain, orange juice and chia seeds. 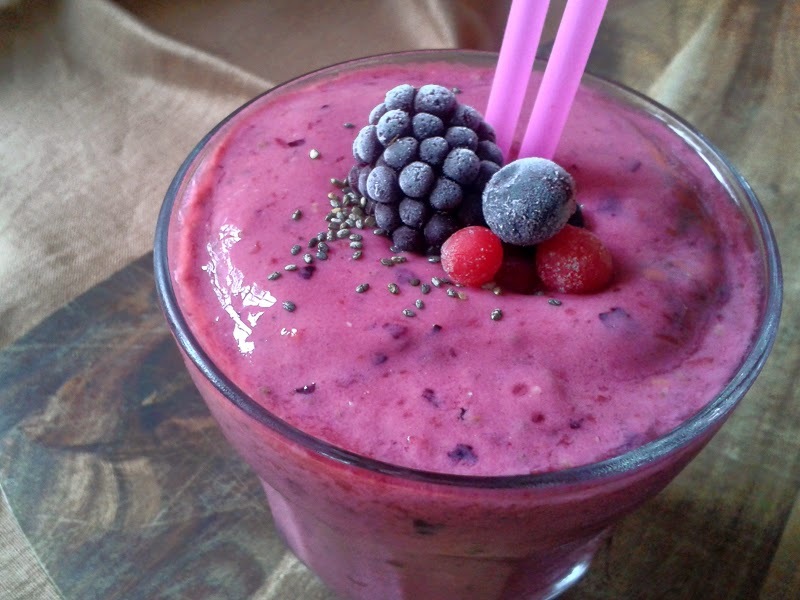 Blending everything up with frozen berries makes for a really thick, cold smoothie which is quite filling. Sweeten with honey if you want to. 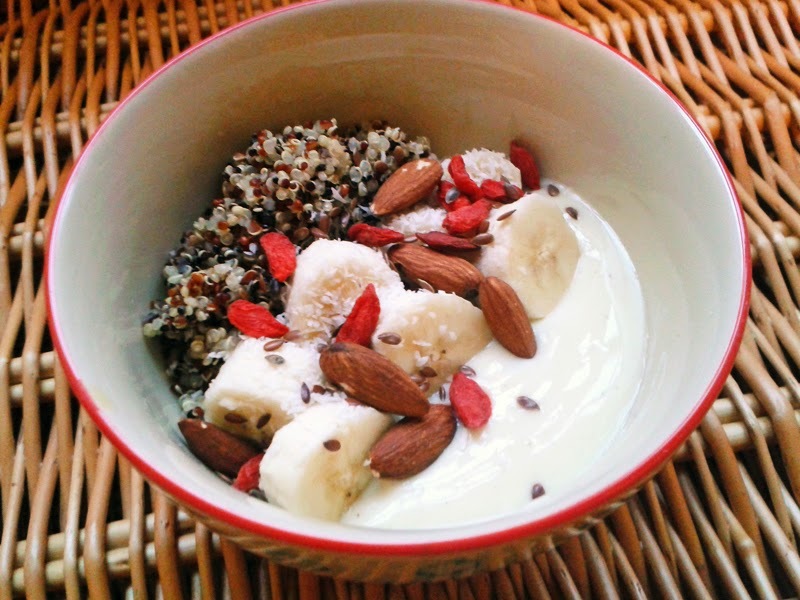 Cooked tricolor quinoa, Alpro Vanilla, sliced banana, almonds, goji berries, flax seeds, and coconut flakes. As I normally shove down breakfast with a toddler hanging off my leg before I have to get us all up and out for the nursery/work scramble, I pre-cook the quinoa the night before. I prefer it cold for breakfast anyway. This is is a very smug balanced breakfast, worthy of bragging to your colleagues about. 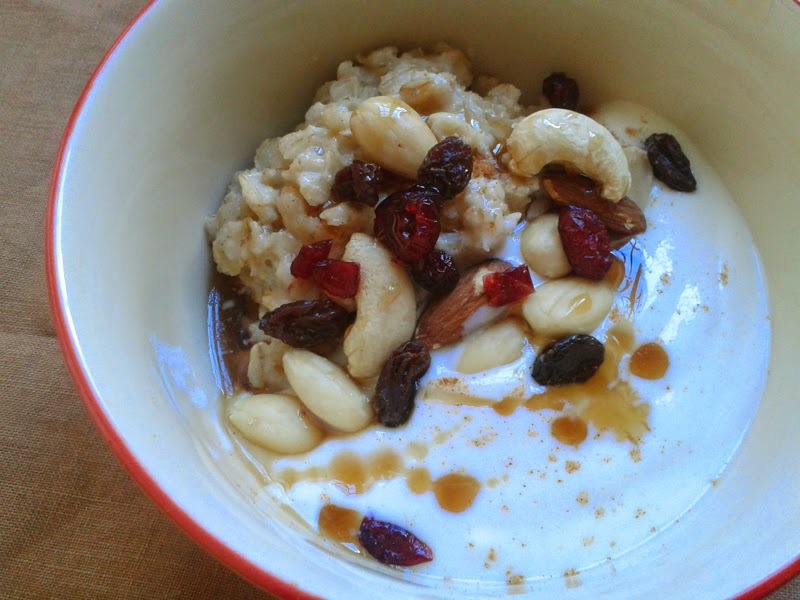 Porridge, Alpro Plain, cashew nuts, almonds, chopped apple cubes and maple syrup. This is inspired by my favourite furry rodent and great if you want a warm, filling breakfast. 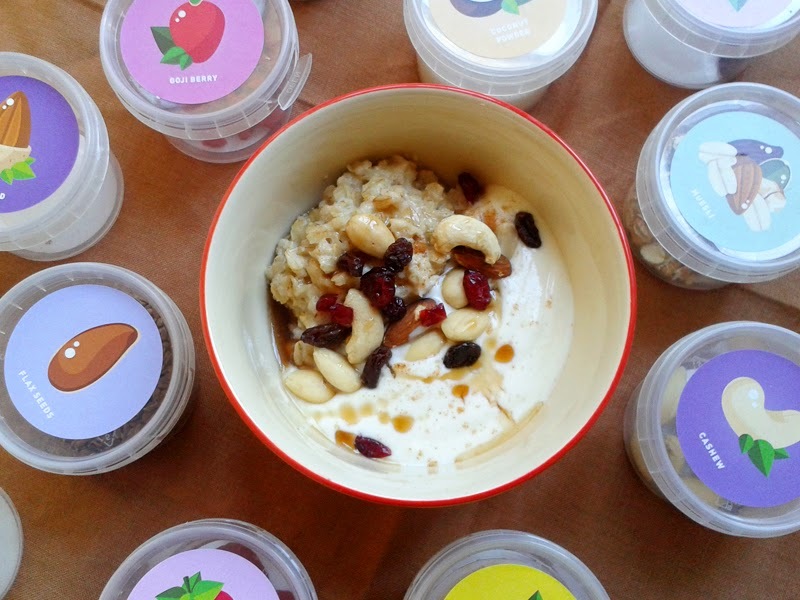 This was a fun project by Alpro to create a new breakfast every morning using their yogurts and a selection of #alprotops. 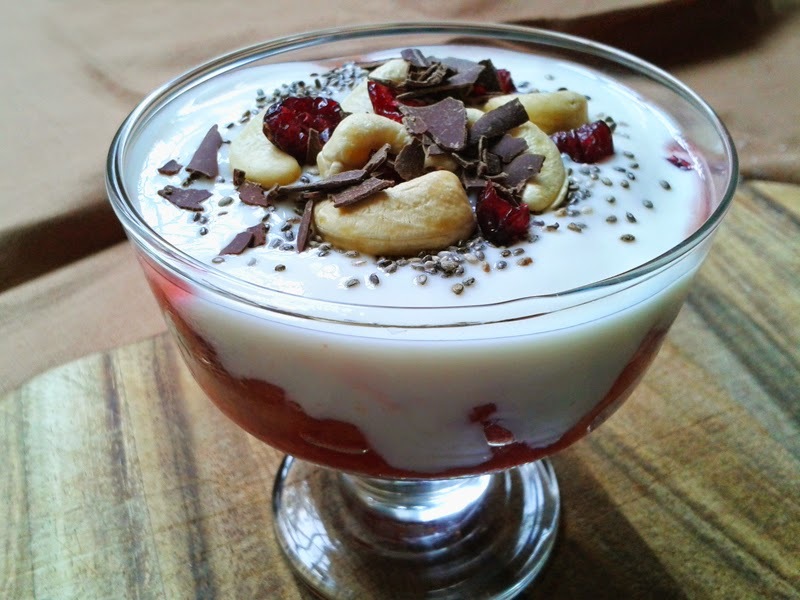 As I am borderline addicted to their chocolate dessert pots, I was keen to give the yogurt alternatives a go. 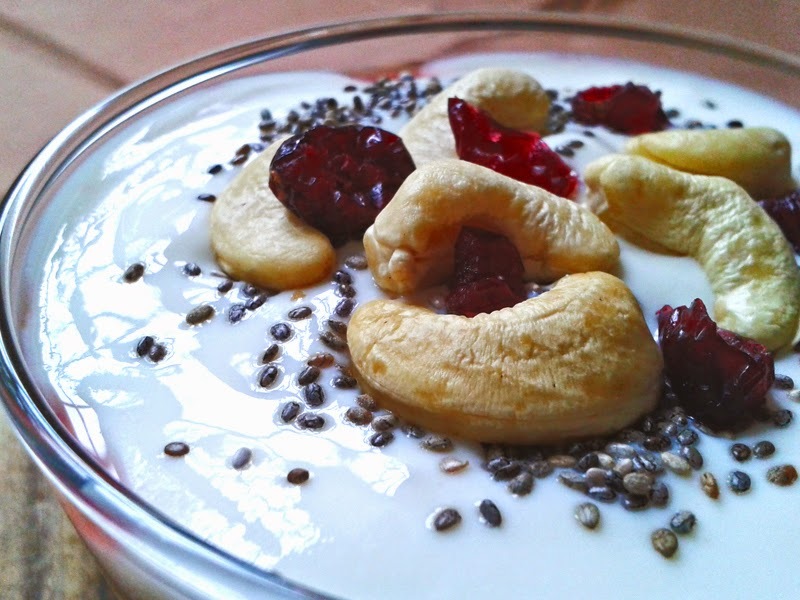 I think what I like about soya yogurt is the tanginess without too much sweetness. Perfect to start the day, especially if like me you don't have a particularly sweet tooth. Thanks to Alrpo for sending me a selection of products for review. Opinions, as always, are my own.